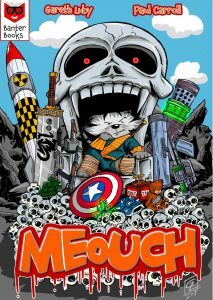 Meouch is an action-comedy featuring a gun-toting, pun-cracking assassin cat named Frankie. 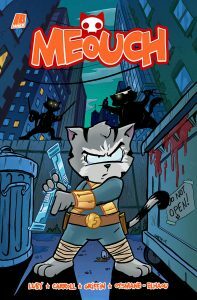 In the series’ first issue, Frankie is up against a deadly little of killer cats known as the Nine Lives, whose handy work is getting in the way of his business. 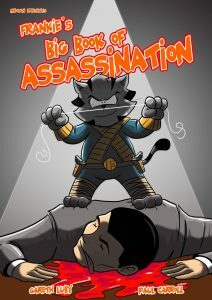 Created by Gareth Luby and Paul Carroll. 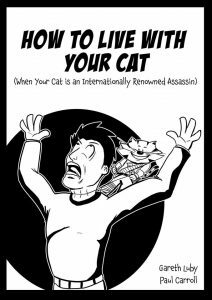 Publication Date: March 9th, 2019.